ii) There are many aspects to this restructuring. One aspect is that it has/will greatly expand the non-state sector. That has the potential to threaten its socialist project, to initiate a process of capitalist restoration, which the majority of Cubans opposes. iii) The non-agricultural sector is about 80% of the economy. There is a discussion and initial experimentation about making a large part of the still developing non-state sector of the non-agricultural economy be workers’ cooperatives. iv) The background question one must always ask about any of the proposed new structures or procedures (and in fact, should ask about all the old structures and procedures), not just about coops is: will this change help Cuba’s project of building socialism or harm it? 2) It is logically impossible to try to discuss if Cuba’s current project is contributing to or detracting from its declared goal of constructing socialism, without first minimally establishing what is (or are) the goal(s) of socialism. Keeping in mind that this has been debated for centuries, and continues to be debated today, including in particular in Cuba, I will throw out a few basics considerations of the issue, in order to give a logical basis for what follows. While still fairly abstract, a set of more concrete and operative sub-goals of socialism are often put forward as its goals, though they actually receive their justification from their support for socialism’s central goal just indicated of human development. The most commonly cited of these are self-determination (or self-governance, authentic democracy, popular democracy or simply democracy), solidarity and collectivity (including “cooperation instead of competition”), and equality. Recently the protection of the natural environment has been included as a goal in almost all discussions of socialism. 3) The starting point for the need for a state in the transition to socialism is much deeper than “if you don’t make a state they will, and they will use it to crush the transformation,” –even though history has shown repeatedly that is completely true. The starting point for the need for both a state and comprehensive planning, not only in the transition to socialism but in socialism, is the species-nature of humans. One essential part of the nature of humanity (not the only part) is that they are collective and cooperative beings. There is a very large literature dispersed over various academic disciplines on the many dimensions of the collective and cooperative aspects of human nature. For these short notes it will suffice to only briefly consider the following. Every human is an individual, but our specific individuality is created through our collective and cooperative interactions with society. Not only are we obviously shaped by our interactions with parents, teachers and friends, but beyond that, the individuals we become are shaped by the culture we grow up in, the language we learn to think in, the “world view” of a particular place and time in history, and so on. We are social individuals. It is worth noting in passing that the core of mainstream economic theory (and political science, etc.) is built on the opposing false Robinson Crusoe (“socially isolated”) theory of individuality, which Marx specifically ridiculed. 4) For this work, the important result from the above is that each of us has collective interests. “Collective interest” indicates that an individual and all other members of some group have an interest, as a member of that group. Then, because people are all members of many different groups, humans all have many collective interests. We have social group interests as women or men, interests as farmers or secretaries, interests as scuba divers or hikers, and on and on. For our concern in this talk, we have workgroup, local, regional, and national social-economic-political collective interests. 5) From the last point that each individual has collective interests at the national, regional, local and workgroup geographical levels, as a member of those groups, and given the socialist goal of self-governance / self-determination / socialist democracy which are sub-goals of the central goal of continual human development, some arrangement among the members of the relevant groups is necessary in order to i) determine what the collective cooperative group interest is, and ii) to enact it. Those arrangements for that purpose, and the institutions created to execute them, constitute a state, be it national, regional or local. For the more specific issue of the narrowly-defined social-economic interests of the group, the expression of the collective cooperative interests takes the form of socially determining, and then executing, plans at the national, regional, local and workgroup levels. 6) Historically in class society, the fundamental role of the state has been to maintain the suppression of the subaltern classes and reproduce the existing society, by regulation and/or force. People who see the existing capitalist state as an opponent to a socialist transition are correct. But the solution is not to do away with the state in the new society, but to capture it and deeply transform it to create a new type state that i) is an instrument for people to collectively self-promoting their interests, both in the transition to socialism and in socialism, and ii), key to that, is thoroughly participatory. This would be in contradistinction to all existing states that have been by design exclusive and excluding. Note that without needing to go back to Marx’s writings on the Paris Commune, over the last 50 years socialists have written a fairly sizable and very rich body of work on what a state suitable for socialism or a transition to socialism would be like. This included analyzing numerous experiments in the real world that tried to take the first steps to expanding self-determination into government, even before breaking their capitalist structure. 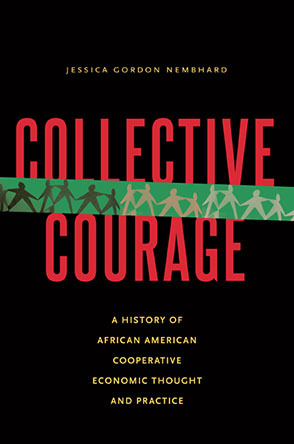 7) If either the decisions that should be made by some local group are made say nationally by people outside the local group, or the opposite, decisions that should be made by the entire national group are made by some local subgroup of the larger group, then the appropriate members for exercising collective self-determination are disempowered, and hence the goals of socialism discussed above are violated. In a longer work on this that I am writing up I give examples of each problem, over-centralization and “local only,” which I do not have time to discuss here. I want to stress again that this is not in the first place a question of efficiency. If decisions on growing tomatoes are made nationally, or decisions on locating cement plants are made locally, these are violations of the socialist goal of individuals collectively self-governing the issues relevant to all groups they are part of, and hence their human development. 8) Many opponents of what they call “state-led” or “state-centered” socialism counterpose “grass roots” socialism to it. This is an incorrect opposition from the perspective of our collective and cooperative human nature and our collective interests that are at the heart of socialism, as just discussed. The socialist state at all levels must be “grass roots.” The state must be the agent of the grass-roots that empowers the grass roots to make and effect its own collective choices, to collectively and collaboratively control its own destiny, at all levels of society. 9) Many opponents of what they call “state-led” socialism counterpose “socialism from below” to it. To the extent that this name is just being used as a synonym for “grass-roots,” the arguments of the last point apply. All socialism indeed must be “from the bottom up.” With the state controlled “from below,” that poses no incompatibility with the state being the agent of collective action which must exist to enable ongoing human development. “From the bottom up,” however, is alternatively often counterposed to “from the top down,” making it equivalent to the idea of “local only.” This dichotomy is both confused and politically/ideologically misleading. Both “top” institutions, for example national, and “bottom” institutions, for example local, need to be consciously collectively controlled by the members of the relevant group, their relevant “grass roots.” Note the usual presentation of “bottom up only” assumes that local institutions can be collectively and cooperatively controlled by all their members, while national institutions cannot. It therefore holds that large institutions must become bureaucracies separate from, and in general opposed to, the large group they claim they represent. This is exactly their position on the national state – it not only is, but necessarily must be, the enemy of any process of radical social and human transformation. Such a position precludes the socialist goal that humans become the subjects of their own history by collectively controlling all groups they are part of, including “top groups” that they are part of. As such, the “bottom up” instead of “top down” position, the “local only position,” notwithstanding the progressive intentions of many of its advocates, is a thoroughly anti-socialist position. 10) Finally, I want to end with some discussion on the goal of “coop autonomy.” Coop autonomy certainly does not guarantee a transition to socialism. First, history has shown that conclusively. But even theoretically, if coops are autonomous they can choose production for profits, choose to reject having community concern, etc. Extending this point, even if we had “associations of free producers,” whatever that means, by the definition of being “free” they too could choose to produce for profits, etc. Making it personal, if I bring up my child to make choices for himself, he may indeed make choices that are not in his self-interest, as perceived by me, and maybe even as perceived by him. That is the nature of autonomy, that is the nature of “freedom,” by definition it cannot guarantee the transition to anything in particular. So my first point here is I argue that autonomy for the workgroup is a necessary but not sufficient condition for socialism. It is necessary because of what I have argued about the goals of socialism. Self-determination, autonomy, is a goal of socialism, it is part of human development. It is not sufficient for building socialism for the reason just argued, by definition the group is free to do whatever it chooses. But then I want to go further conceerning autonomy. When cooperativists think about Mondragón or any small coop anywhere, they say they want the coop to be “free” to set its prices, set its wages, etc. If some state like the USSR does that, cooperativists say that robs the coop’s autonomy. But of course, no coop or even any private business is free to set prices and wages. Those are determined by the market (which as we noted is determined both by the competition of capitals and by the capitalist state). If a coop sets prices above market prices, they will not get customers. If the coop sets total remuneration above market wages they likely cannot be competitive. The bankruptcy of FAGOR should make clear that coops do not have autonomy in wage and price setting, nor in many other economic decisions. My argument is that a coop should have autonomy to set all the things that should be determined by the local workgroup, as part of the individuals in the coop collectively controlling all the institutions they are part of, in this case this part of the economy. But the individuals in the coop are also members of their region and the nation, and some economic decisions need to be made on those levels. Again, if a coop makes decisions that should be made by a larger social group, that coop has disempowered all individuals not in that coop to collectively control the economy they are part of. Say every coop sets their own wages and then competes for workers. Now instead of everyone having a voice in determining wages, wages are set by the particular coop that set theirs lowest, by the need to compete for workers. So wages for your group are set by another group that you are not part of. To conclude this point: coops like Mondragón make many decisions about their operation. They do so in a background set by the competition of capitals and the capitalist state, i.e., capitalism. The proposal here is to expand self-governance of the economy by having those “background” decisions also be made by the individuals affected by them, by appropriate social economic bodies at levels above the coop, state planning bodies at various levels as part of comprehensive planning. I will not try to indicate what economic decision would be made at what level, but I want to quickly give a list of more than 30 economic decisions that need to be made for an economic enterprise to operate. I argue that looking at this list one can quickly see that collective self-determination suggests some of these should be made at higher levels than the coop for the goal of collective economic self-determination by the members of society. Conclusion. I believe that introducing cooperatives into the non-state economy, at this particular moment in Cuba, will further its project of building socialism. But they will help that project only if introduced in a way that indeed supports building socialism. Because this talk is being given to a group of people largely favorable to coops and because of the short time, this talk has not at all argued why I think introducing coops is a good idea. It has entirely focused on some, not all, of the conditions in which they must be introduced, because some, not all, cooperativists do not appreciate, or even agree, with these considerations. iv) coops, suitably mandated, could be the form for making decisions that are suitable for the internal operation of productive enterprises. Photos by Paul Nadeau. Used by permission. Al Campbell is a long-time socialist and member of the Steering Committee of the Union for Radical Political Economics (URPE). He teaches Economics at the University of Utah. Some of his recent published work can be seen here.